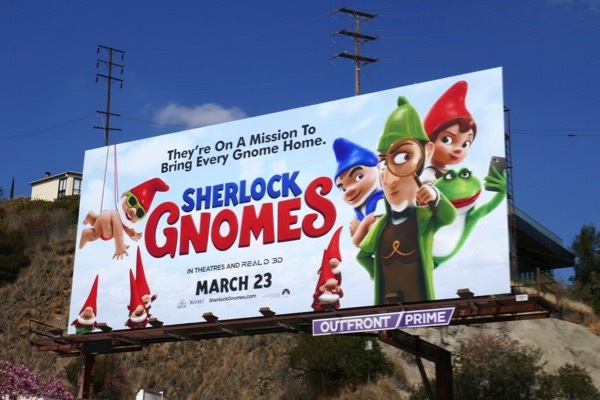 This March it's time to revisit the secret life of garden gnomes with Sherlock Gnomes, and there's a mystery to be solved. 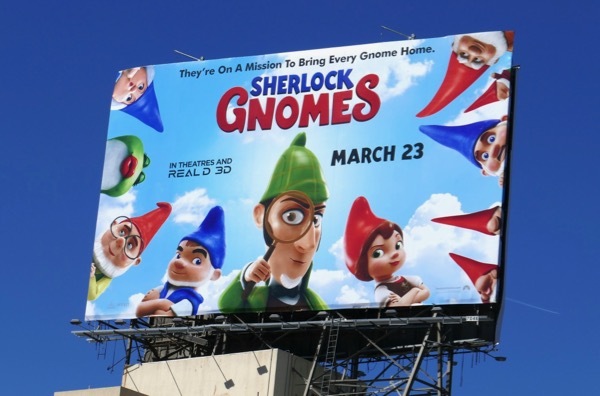 In this computer-animated sequel the stars of 2011's Gnomeo & Juliet (voiced by James McAvoy and Emily Blunt) recruit the infamous detective 'Sherlock Gnomes' (Johnny Depp) and his sidekick, 'Gnome Watson' (Chiwetel Ejiofor), to help investigate the unusual disappearance of their garden ornament friends. 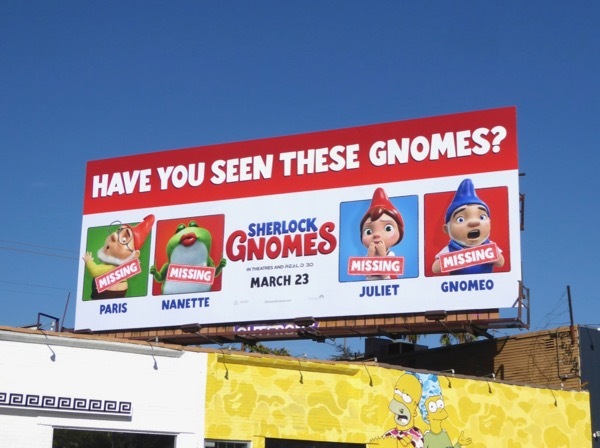 The 'Have you seen these gnomes?' 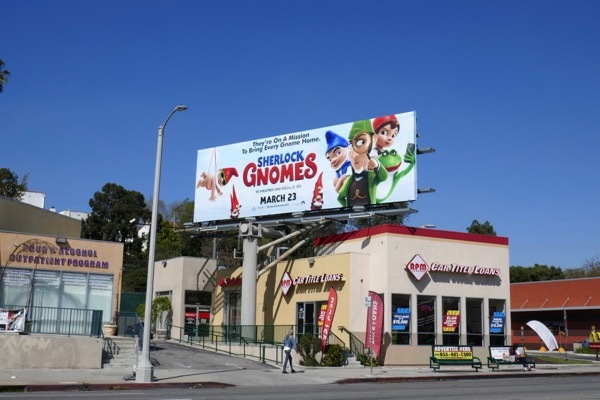 teaser billboard was snapped along Melrose Avenue on November 6, 2017 to help raise awareness for the forthcoming movie sequel. 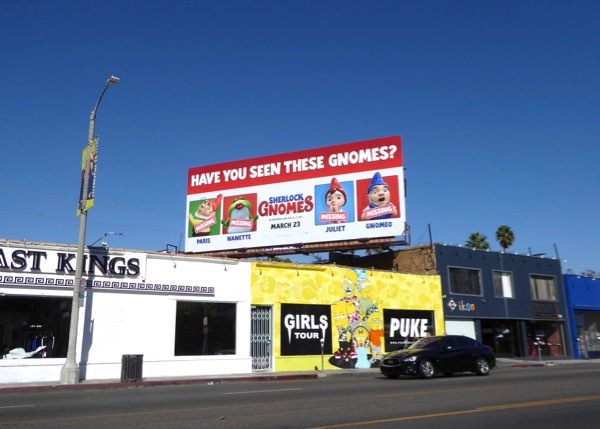 Meanwhile the followup billboards were photographed along La Brea Avenue, Wilshire Boulevard and the Sunset Strip from February 28 to March 5, 2018. 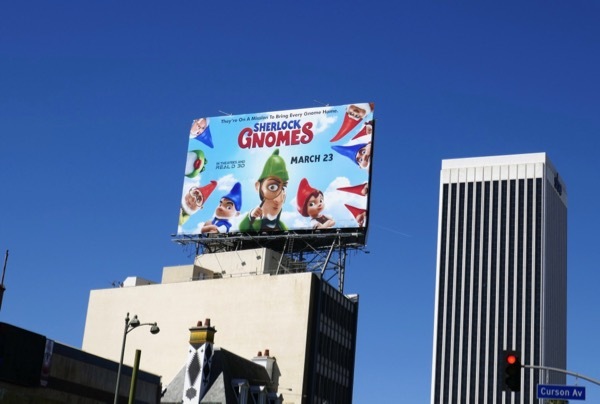 Fans of the animated franchise can also enjoy this giant Gnomeo & Juliet movie billboard from January 2011. 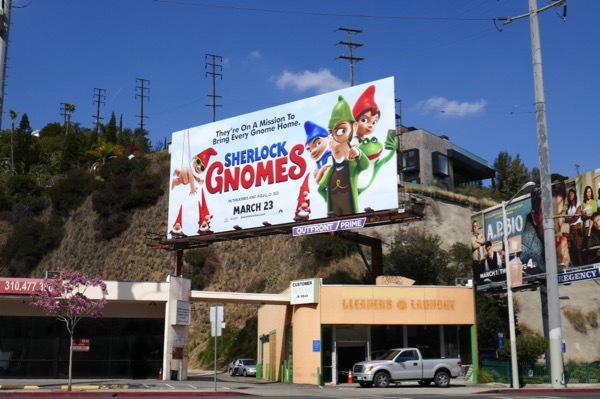 Plus for other versions of Arthur Conan Doyle's literary creation you can also check out these Sherlock Holmes movie billboards and these Elementary TV billboards. 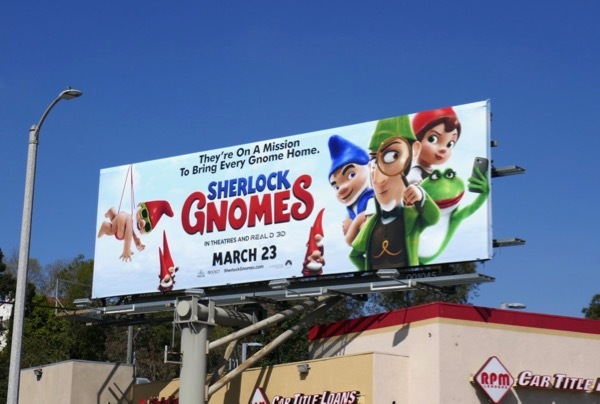 Get ready for more miniature misadventures, original songs by Elton John and Bernie Taupin and prepare to venture into the great un-gnome.